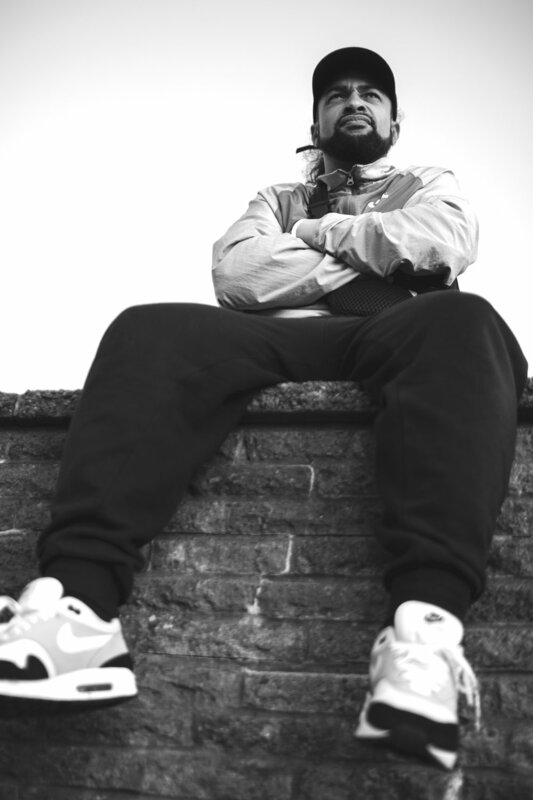 Bristol based rapper/producer Baileys Brown has been instrumental to building the profile of South-West hip-hop over the past decade. Achieving early acclaim since emerging with his first collective called Demorus, Baileys attained a nationwide status after producing the majority of his long-term friend Datkid’s now-infamous solo projects, DKay and Grammar and Home By 8. Through their friendship, Baileys became acquainted with Datkid’s homegrown rap collective, Split Prophets which enhanced his world-wide renown. Since establishing a far-reaching reputation for his boom-bap production talents, Baileys went on to release a string of independent projects, featuring dozens of UK hip-hop artists. However as time passed, Baileys became tired of working solely on boom-bap sounds, so challenged himself by creating an experimental hip-hop collective called D£DW8 - fusing modern elements of rave music overlapped by traditional rap styles. This proved a worthwhile venture, as D£DW8 became respected for breaking UK rap boundaries, as well as aid Baileys in terms of progressing with his production techniques. Still unsigned, Baileys is in a lane of his own. He is set to blow up in 2019 following the release of D£DW8’s latest EP, AR£ W£ GOD$ Y£T? and is ready to release his highly-anticipated solo album called ‘Still Fresh’. For these reasons we got in touch with Baileys, to speak in depth on his beginning to now. Baileys Brown, thank you for your time. Any final shout outs?